motivation when you need it. This summer is all about big and scary changes for me. What about you? What areas in your life — mental, financial, relationships with siblings or spouses, diet, etc. — need the most improvement? What makes you frustrated or unhappy is the area that needs the most work. Let summer 2013 be all about making healthy steps forward, not backward. Do you wish you had someone to talk to in confidence? Do you feel depressed, angry, hopeless or frustrated and not sure how to get out of this mess? Gather up your courage and locate a mental health professional. Focus on practical methods of therapy that will help you to focus immediately on the major issues and he or she will guide you to make the necessary changes in life. Find a therapist at therapists.psychologytoday.com and enter your zip code. Choose someone that specializes in areas you need work on (eg: anxiety or substance abuse, marriage counseling) and that accepts your insurance or offers a sliding fee scale — one of the most common reasons for putting off seeing a therapist is the thought that one cannot afford it — not true! Make an appointment for next week. Feel sluggish all the time, tired, and winded going up a few flights of stairs? Recently gained weight? Never exercise? It’s time to change. Start small — 3 times a week for about 30 minutes. Make it easy — take a walk after dinner. No purchases required to get fit. Make it fun — involve your friends/family. Play tennis, play tag with kids, go to the beach and walk along the shore, go swimming, take Zumba, etc. Find something you like. Make it last — attach the habit of exercising with something you already do everyday. Drive past a gym on the way home from work? Keep your gym clothes in your car and head there immediately before going home. Need to watch a certain show every night? Exercise during that program. If you are religious and have been slacking on going to your church/temple/place of worship, it’s time to recommit. It’s a great place to feel a sense of community and faith like nowhere else and feel like you’re part of a bigger whole, which is comforting. Also, start reading your passages and reflecting silently, too. How can you be a better Christian/Jewish/Buddhist/etc. person today? Can you volunteer, help someone, read a new passage, pray, be closer to nature? If not religious, you can still work on your spiritual health. Practice saying a mantra everyday that makes you feel empowered. Or go to a quiet place of nature and reflect silently.Take steps everyday to remain positive in your life and believe in the magick/karma/The Secret. Meditate. Do yoga. Feel more in tune with your body & soul. Align yourself — become more balanced. This is an important step. Diet has a profound impact on the way we feel, think, and our ability to perform/function in our daily lives. Take this summer to practice eating habits that make you feel better. Journal what you eat, at what time, and how hungry you were. Note how it makes you feel after eating and what emotion you were feeling. Note trends in how you feel hours later or the next day, too — especially if you eat a lot of carbs (sluggish, tired, bloated). Change your habits one meal at a time and become more conscious of the calories you consume — though you don’t have to count them, it’s a good idea if you want to lose weight. Eat cleaner, local, organic foods — search for local farmers markets in your area. Eat more vegetables. Every meal. And try a new veggie once a week or so. Drink water, not calories. An easy way to lose weight and feel better is to drink more water and replace sodas/juices/etc. with water. This is an important one to work on. Ask yourself honestly: How can you be a better…daughter, mother, son, father, wife, husband, friend, relative? What relationships in your life are fading and need TLC? Who can you call that will brighten their face? Catch up with old friends. Ditch the toxic people in your life, as well. If you feel negative when you’re around, make bad decisions like drink/smoke, or if they treat you badly, ditch them. Life is too short to hang around with awful friends. You can always make new friends that align with your goals. Seek them out. Do something that makes you happy everyday. Even if it’s a little bit selfish. If you are not happy everyday, than what is the point of living — seek help if you are feeling depressed, and seek ways to bring happiness into your life on a constant basis. Make an effort to be social, friendly, and confident — even if you don’t feel like it, fake it. It will get easier, I promise. If this article helped or inspired you in any way please let me know what you will be working on this summer. I have my own list and I’d like to see what you will be up to. SHAPE: On those days you just don’t want to work out, how do you convince yourself to get out of bed and do it? JM: I play mind games. I tell myself how grumpy ill be if I don’t work out and think about how lethargic I’ll feel the next day. I promise myself that I will just do 15 minutes and if I am still miserable I’ll stop. There hasn’t been one time I didn’t stay to finish at least 30. Once you are there and the endorphins kick you, you find the strength to power through. You turn a negative thought: I don’t want to workout today — into a positive one: Okay, I’ll just do 5-10 minutes and stop. You give yourself permission to start by lowering expectations — it can be overwhelming trying to exercise for 30 min, 45 min, 60 min 4-5 days per week. By saying it’s okay to just START NOW, and say it’s okay to stop if you want, you bring yourself on that machine or to push play on that workout video. After starting, the hardest part is over — Jillian Michaels says that she has never stayed to finish at least 30 minutes of her workout — I guarantee that you will, too. Even if you do decide to stop after 10-15 minutes, SOMETHING is always better than NOTHING. Studies have shown that 3 bouts of 10-15 minute exercises can be just as effective as one long workout. Start giving yourself all the affection and attention that you give others, and I promise that not only will your attitude and self worth change, but your waistline as well. We’ve heard this before I’m sure, but it’s exciting to hear when new research confirms this. A recent study (Jan 2013) published in the online British Journal of Nutrition says that exercising on an empty stomach in the morning leads to more fat burn. Also, that this fasted-state exercising does not translate into more calories consumed later in the day! The researchers discovered that those who had exercised in the morning did not consume additional calories or experience increased appetite during the day to compensate for their earlier activity. They also found that those who had exercised in a fasted state burned almost 20% more fat compared to those who had consumed breakfast before their workout. This means that performing exercise on an empty stomach provides the most desirable outcome for fat loss. I find personally that exercising in the morning is better because you get it over with first thing and before you have time to talk yourself out of it. By exercising in the morning you start your day with a healthy habit that spurs you to keep making more healthy habits the entire day — plus you feel GREAT afterwards. I’m planning on joining Planet Fitness soon so that I can follow this advice and exercise in the morning, too. Do you exercise in the morning? Clean eating is much more fulfilling than a Big Mac. By the time you read this article, you will be able to quickly analyze your current eating habits and begin eating cleaner. What is eating clean? 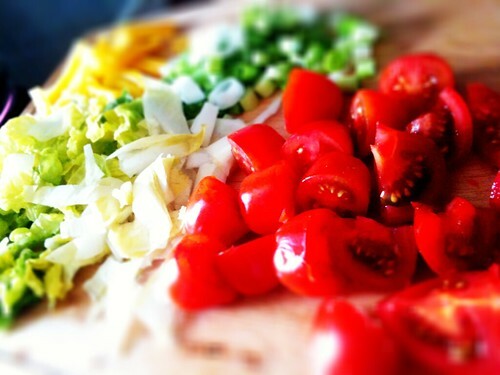 Clean food is fresh, unprocessed food. Clean food is not preservatives, food dye, and flavor enhancers. Clean food is not sugar, artificial sugar, or artificial flavorings. Clean food is not McDonald’s, Lean Cuisine, or anything with MSG. 1. Take a minute to think about what you currently eat. Do you run to Dunkin Donuts or McDonald’s for quick pick me ups? Do you buy potato chips at 2:30 P.M. because you missed lunch and you’re starving? Do you HAVE to have dessert — or anything chocolate — once a night? 2. Take another minute to decide on healthier alternatives.You don’t have to run a marathon after learning to crawl, so breathe and pick one area you think you can handle right now. Hate feeling tired in the mornings because you don’t eat breakfast? wake up 10 minutes earlier and grab a yogurt and drink some water. If you really feel up to it, scramble some egg whites and put it on some whole wheat toast. The key to eating clean is to eat a combination of healthy protein and carbs at each meal. This will keep your energy up, and you’ll feel better because you’re eating real food. Think about the perimeter of the store you shop at: vegetables, fruit, chicken, turkey, learn ground beef, learn cuts of steak, milk, eggs, whole wheat bread. That’s really all you need. If you need some help, here’s a quick guide to mix and match meals for carb + protein. Just mixing these suggestions can yield 49 meals. Add a glass of water and you’re all set. Healthy cooking methods: Roast, bake, steam, grill. I also like to pan-fry with a touch of calorie-free PAM (or the cheaper store brand equivalent). Lettuce. Potatoes. Whole wheat bread. Broccoli. Apple. Spinach. Kidney Beans. Boneless skinless chicken breast. Salmon. Ground turkey. Low-fat cottage cheese. Sirloin Steak. Roast turkey breast. Eggs. 3. Take the last minute to create a goal. Now that you have a basic idea of how to construct a clean meal, create your goal using the worst meal or type of food you currently eat. It’s good to start small, but a bit out of reach, for your first goal. What do you want to accomplish and measure in a short amount of time? Do you want to lose 5 pounds by next month? How about a jean size? The next step is to go shopping, buy clean foods, and do it! At 3 cents per ounce, rice is a serious money-saver. Hopefully this article will help many of you dealing with trying to cut back this year while also eating healthy. I’m committed to doing both, because eating healthy foods does not and should not be expensive. I have actually saved money by not eating out and by following the tips I’m going to share with you today. I’ve come up with a brief list of ways you can save money while still being healthy. Brew your own coffee, don’t buy coffee at Starbucks or Dunkin Donuts. Buying a can of coffee can cost about the same as one large specialty coffee drink, but it can last weeks to a month (depending on your frequency). Plus you can relax at home while making breakfast, rather than getting in your car early and waiting in line, which is a waste of time. You still save even if you buy a more gourmet type of coffee, but I usually stick to the cheapest on-sale brand. Make sure to look at the unit price/ounces too, a $3 can is not a deal if it is only half the size of the $4 can. Better yet, drink tea. A box of simple black or green tea has about 100 packets and is a couple of dollars. That makes tea about as cheap as rice when you look at the unit price. Also, tea is easier to drink plain (without added sugar or cream) because it is not bitter like black coffee, saving even more money. Eat the same breakfast everyday.It is easier to stick to healthy habits if the meal preparation doesn’t take much thought. What easier way to do that than having the same breakfast everyday? Wake up. Coffee or tea. Oatmeal. Banana. It’s easy, and requires no thought, no rushing around seeing what you have and what to make. A box of oatmeal is a couple of dollars and has 8-10 packets, a box of cereal is $3-4 and lasts weeks. Getting bored? Write down 2-3 breakfast choices that are easy to make, quick and balanced. Keep them handy such as on the fridge so you can look at it and decide which one you want each morning, and get to work half-asleep. You can reap the benefits while also have more than one simple choices to vary it up. For example: day one: oatmeal, fruit, coffee. Day two: cereal, fruit, coffee. Day three: 2 egg whites, fruit, coffee. Shopping will be a breeze since you’ll know exactly which items to purchase. Buy in bulk and do the work yourself. People pay more for convenient foods: individual packets of oatmeal, prewashed salad mix, pre-cut fruit pieces, canned beans. Usually buying in bulk will mean bigger savings for you. Look at the unit price of the items when shopping, and you will notice a savings of say, about 50% just for buying the canister of steel cut oats than the 10 packets of oatmeal in a box, plus you’ll be getting more for your money so it will last longer. And don’t even think about buying those “express” versions of single servings in a bowl. That can be over 50% MORE expensive than buying the box of packets. Same goes for buying meat — buy a whole chicken and cut it up yourself, buy lettuce heads and wash and cut it up yourself. It really won’t take up much of your time, but it sure will make a difference in your wallet. Eat more salad.Ever notice most of the packaged/processed food basics we buy are carbs? Mashed potato flakes. Pasta. Bread and bread products. This means that the food is generally more expensive. I say generally because pasta is a serious go-to staple to keep for cheap dinners, especially ramen. At least a couple times per week to start, have a meal that lets veggies be the star, not carbs or protein, and by that I mean, eat a salad. Fill a bowl or plate with various vegetables (doesn’t have to be fancy — most of my salads are just lettuce and tomatoes), pick a light salad dressing, maybe sprinkle some cheese on there (I love my cheese…sadly dairy products are also pretty expensive). Another cheap food item many people don’t take advantage of are eggs. Don’t save eggs for breakfast. These are a great way for getting in lots of protein and vitamins. Simply hardboil them and cut them into slices and top off your salad with filling protein. I hope you found these ideas useful and show that you can eat pretty healthy while saving money off your grocery bill. If you take away one thing from this article, it’s this: pay attention to the Unit Price of items, and watch your bill shrink. This is an extension of the post I did a few days ago called How to Stop Emotional Eating – For Good. Emotional eating can take many forms, but most people can probably agree that it is when you are sad that the cravings for cookies and ice cream start calling. I wanted to do a more in depth exploration of why this happens, and of course, ways to help overcome it. 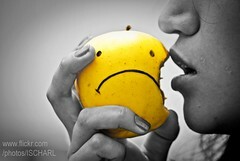 The number one reason we will eat is due to the stress that negative emotions cause us, especially sadness. Most times, stress goes hand in hand with depression and can either be a symptom or a factor in being sad. When we’re stressed, our bodies release the hormone cortisol, which creates cravings for unhealthy foods and stores these extra calories in the belly, the visceral fat region which is a danger zone for heart attacks. Some people also feel the need to soothe their oral fixation caused by anxiety or any other emotion, which can be soothed by the repetitive motion of picking up handfuls of food into the mouth. Meditation – it sounds corny, but it really does work. Search around for some meditation videos on YouTube like this one or this one, and lay down face up (or however you’re most comfortable) with arms down your side and preferably headphones on. Listen to the music, or the music with guided meditation (helps with imagery). A good meditation session will leave you less stressed and relaxed like you’ve just woken for a nap. Nap – if the meditation isn’t your thing, then you can take an actual nap. It doesn’t quite solve anything, but it does help you to sleep on some hard decisions. Deep breathing – breathe deeply through your nose for about 5 seconds, hold for just a sec, and slowly release through your mouth for about 5-10 seconds. Do this for a couple of minutes, especially at moments of high stress, and see how you feel. Yoga – yoga is another thing that’s not for everyone, but if you like it, you’ll love it. You can also do some basic stretching (not yoga-y) while using the deep breathing technique to really reap the benefits. You can do a quick pose when you’re feeling stressed at the office, or you can do it every time you wake up (and do the Sun Salutation). Going back to the pain/pleasure principles discussed in the How to Stop Emotional Eating – For Good article, people don’t like to feel pain and will instinctively find any way to stop pain and increase pleasure. This often includes distracting ourselves from difficult news or emotions. Food is a way to distract ourselves from the pain and to induce pleasure with the chemicals and sugars found in foods. The repetitive act of eating is soothing, as well as the sensations of food which cut off our thoughts. Habits/Learned Associations, such as from Childhood. Most moms can admit to using an ice cream cone as a pick-me-up for their children when they get a minor injury, such as falling off a bike. However, if used enough times, the child can learn to associate good feelings with food. Food is seen as the way to make the pain go away, or to stop crying. Maybe moms should start using carrots instead of cupcakes, and the world will be a better place 🙂 Ahh, but even though this may be an ingrained response from childhood, it is fairly simple to unlearn the association. One way is fear – imagine spiders and other gross things on your favorite junk food item or literally throw dirt on your junk food item before you’re about to eat it (a waste of food yes, but for an important point). Or as soon as you feel a craving for that specific treat, such as ice cream, pinch your wrist very hard. Soon you will learn to associate the junk food with pain. As an example: One time I spent far too much time on Youtube watching gross videos about decaying animals, just for the curiosity of how flies and maggots play the role in the circle of life. I had also watched a fascinating time lapse of all kinds of fruit decaying and molding in a bowl. Unfortunately, the next day my sister gave me a cherry to eat, and I literally could not stomach the thought of eating that cherry. It disgusted me to look at the fruit and be reminded of that video. So it can be done. Next time I’ll try to find something about ice cream. Journal! Write it out, and tackle your feelings head on. Write a story about it, in third person if you must, and share it with someone. Chances are there are a lot of people who can relate, too. Sharing makes it easier to go through the experience. Pick up a creative hobby to do instead of eating. Can’t write or talk about it? Try drawing or painting. You don’t have to be good at it, just do it for the therapy. Try CBT therapy on your own. Cognitive Behavioral Therapy is a technique that many therapists are skilled in. You can try a simplified version by yourself, if you’d like: CBT’s goal is to find out the reasoning behind your behaviors and to try to alter your thinking patterns and inspire better behaviors. For example, your undesired behavior is that you eat too much, and your cognitive functioning is that you eat because you’re sad. Write out why you do this, and find the real problems. If you’re crying, or it feels hard, then you’ve found the real reasons. Once you’ve pin-pointed the thoughts that are making you do this behavior, then it’s time to find out how to change those thoughts and therefore your behavior. Whenever you think a negative thought, change it into a positive. Work on your self esteem. Change your surroundings so that you can change your problem. And then you can also consciously work on changing your behavior. The two are related, so you’ll start seeing improvement both ways. It’s usually a long, difficult and drawn out process – which is why professional help is recommended. I’ll write a post more about CBT later, however. Hunger is a basic sensation that all creatures feel and respond to with the appropriate action: to eat. Hunger stems from the very basic idea of stimulus and response as well as the pain principle. The body realizes that there is a lack of nutrients caused by an empty stomach. The body then releases chemicals that inflicts an uncomfortable feeling of emptiness, weakness, and desire to eat (called appetite). The body searches for food to stop this discomfort. This then additionally becomes motivation – a call to action. So hunger is already very complicated, even in the state of nature. Operating on biology, chemistry, motivation, the pain principle, and the most basic behavioral psychology of stimulus and response. This is important to understand. For a more thorough explanation, click here. The pain principle – we don’t like feeling pain. It is a natural self preservation tool used to survive in the state of nature. Hunger pangs, terrible contractions of discomfort which begin 12-24 hours after not eating, can be so painful that it is difficult to concentrate on anything else. Add to this state the decreased level of blood sugar and general feeling of lightheadedness and anxiety, and hunger can be almost unbearable. Most people living in developed countries rarely feel real hunger pangs because they are able to eat at normal intervals – every 3-4 hours or so. However, the biological response is still rampant, and once the first sign of discomfort hits, many people instinctively race to stop the pain. Behavioral psychology – the most basic theories of behavioral psychology stem from the stimulus and response theory. A stimulus is noticed, a response follows due to that stimulus. The stimulus could be anything – a rabbit sees movement in the bushes, and flees to escape a preconceived notion of danger. the rabbit knew to flee because last time she saw movement in the bushes, a snake came out and lunged at her. The fear response kicked in from seeing the stimulus and caused her to flee. Now the rabbit knows that whenever she sees movement in the bushes, that she must run to avoid getting eaten. In humans this could transfer over to almost anything. The alarm clock makes an annoying buzzer sound, you shut it off and get out of bed. The commercial shows a delicious looking cheeseburger, you decide to buy from that restaurant that night. What does this have to do with emotional eating? Everything. When we eat, it is meant to fulfill a need. In nature, this need is strictly biological. We eat to stop the hunger pangs, and we eat to gain nutrition and to feel satiated. As a complex society, hunger means something completely different. We eat because we’re hungry, yes, but we eat for other reasons, too. We eat because we are bored. We eat because we are tired. Angry. Frustrated. Stressed. Sad. Annoyed. Happy. Eating just got so much more complicated. Eating is no longer just a necessity, it is a social function. Eating is everywhere, at funerals, weddings, work meetings, movie theatres, and eating is shared as a community. Eating is also done after buying or cooking the food, not after hunting or gathering for hours or days. Eating is an easy task, and we don’t even have to cook at all to eat – we just pay other people to. Eating is done on purpose, and it is done as a social obligation. It is also done absentmindedly, when one is not paying full attention. How do we stop emotional eating for good? We start paying attention. Next time you eat, take note of the time and how you felt right before eating. Note how hungry you felt (on a scale of 1-5) and your mood. Then write down exactly what you ate, including portion sizes and beverages. Note the time when you are finished. Do this for a day, or a few days, to get a better view, and then sit down in a quiet spot and take a good, hard look. Do you notice any patterns of eating when not particularly hungry (at a score of 1 or 2), or only waiting to eat until you are starving (5) and then eating a large amount in one sitting? How about your mood? Do you eat when you are happy, sad, or mad? How long does it take you to eat? If you are eating in less than 5 minutes, then you are waiting too long to eat, or you eat too fast and don’t feel satisfied because you don’t notice what you are eating. The general rule is that the body needs 20 minutes before it realizes that it is full. If you are not eating when you are hungry, wait until you feel like you’re at a 3-4 before eating. Consciously force yourself to wait until you feel physically hungry. Don’t just eat because it is a certain time of the day (“lunch time”) or because that’s when you’re friends are eating. If you are waiting until you are at a 4-5, find out why you wait until you’re starving until you eat. Do you have a pattern of eating large meals in-between longer periods of time? Do you, for one reason or another (which you should find out and write down), skip meals? If you are eating when you are sad/depressed/angry, catch yourself the next time you realize what you are doing. Stop yourself in your tracks and ask yourself, are you really, physically hungry? Do you need to eat to gain fuel and nutrition, or do you feel sad and need to distract yourself with food? Physically remove yourself from the eating area and go somewhere else where no food is allowed. Stay there for at least 20-30 minutes, if not more. Bring something to do, such as a journal to write in, polish to paint your nails, or a favorite book to read. Keep a stash of things to do and keep them around you so that whenever the feeling strikes you, you can distract yourself. Do this every single time you find yourself eating when in a depressed state. Soon the process will become automatic, and you will disengage the link of [sad + food] to [sad + something else]. A lot of people have found that writing is the most helpful, so that they can write out their feelings and get it off their chests and away from their minds. But you can pick anything that is not food and that is ideally creative and constructive, not destructive. Find something that you genuinely love to do and find yourself getting lost in.